December 5th in Wordpress Plugins by Wordpress Jedi . Starting a new blog and growing it take a lot of time and effort. You may not need to hire other writers when you are just starting. But as your blog grows and gets more attention in your market, you will have to bring more experts on board to take your business to the next level. While there are many bloggers who don’t mind writing for top sites for free, it is always easier to grab the attention of top bloggers when you pay for their effort. 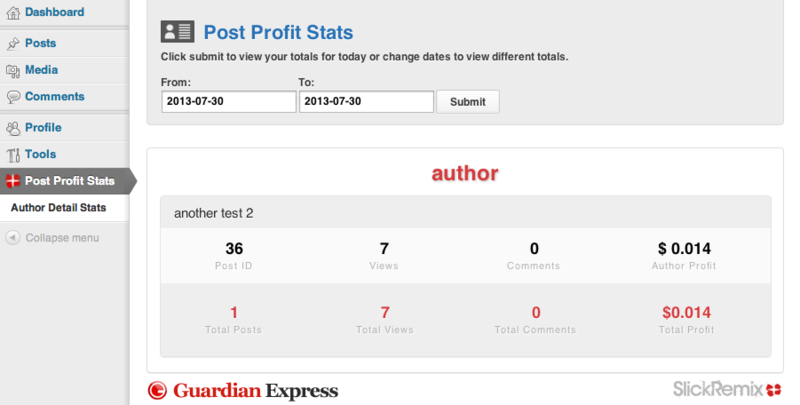 The Post Profit Stats is a helpful tool that lets you pay your authors by page views. The free version of this plugin lets you track up to 10 authors. You get to set the amount of money you would like to pay your authors. Authors can see their stats too. Views get counted even if you have a caching plugin active. The pro version works better for premium sites. 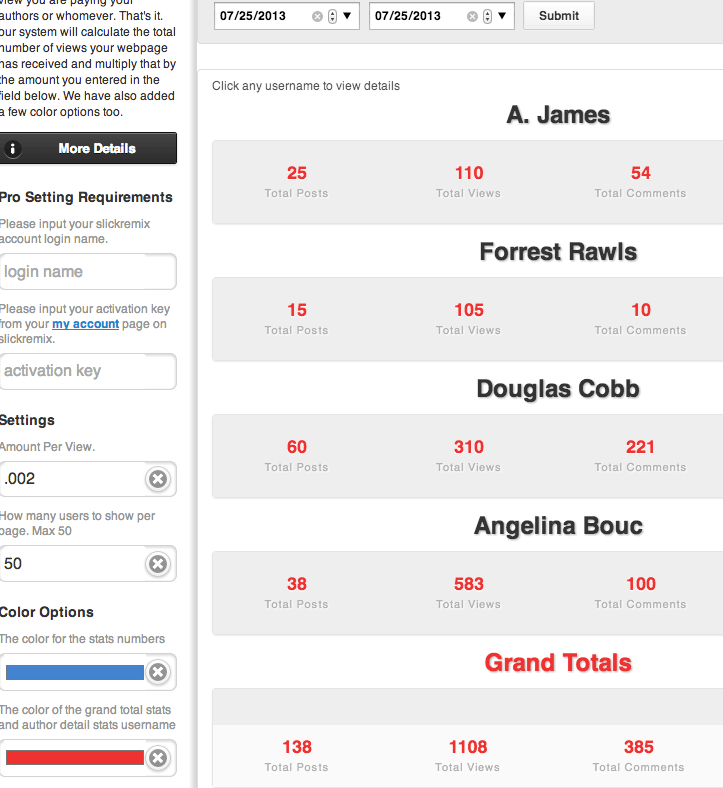 It tracks up to 50 authors and allows you to set the amount you would like to pay for views for each author. The stats are stored in your database. To store them in a separate database, you should go with the Enterprise plan. Should you pay your authors for page views? The practice has been around for a while. Many sites that used it in the past have stopped. Some use ad revenue sharing or fixed payments per post. Payment systems that are based on page views can simply be gamed. But if you must go with this approach, the Post Profit Stats has you covered.